(Bloomberg) – Soybeans have finally entered the U.S.-China trade war. China’s Ministry of Commerce on Wednesday said it plans to impose 25 percent duties on imports of the commodity in addition to other U.S. agricultural produce including wheat, corn, cotton, sorghum, tobacco and beef. They’re among 106 products ranging from aircraft to chemicals targeted by Beijing in retaliation against proposed American duties on its high-tech goods. The announcement ended weeks of speculation over whether Xi Jinping’s government would go as far as targeting a commodity that it buys in such huge volumes from the U.S. Beijing finally pulled the trigger after Donald Trump’s administration earlier in the day proposed $50 billion of levies on a slew of Chinese goods from gas turbines to lithium batteries. The prospect of Beijing targeting soybeans was the topic of so much speculation because there’s so much at stake for both sides in a trade that was worth about $14 billion last year. The Asian nation is the world’s largest importer, and is America’s biggest buyer of the oilseed. Its purchases have climbed to a record as expansion in large-scale livestock farming and a shortage of protein-rich feed grains boost soymeal consumption. U.S. 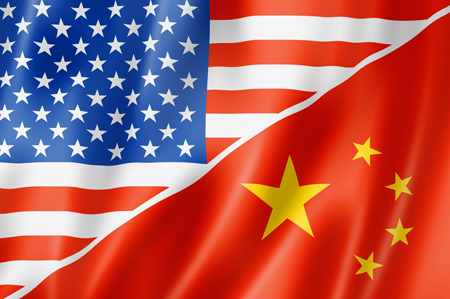 Ambassador Terry Branstad last month warned China against retaliatory measures aimed at imports of the oilseed and said any efforts to curb the trade would harm the Asian nation’s regular citizens more than American growers. In an email on Wednesday, Paul Burke, North Asia Regional Director of the U.S. Soybean Export Council, said duties on soybeans will hurt both U.S. farmers as well as Chinese soy processing, animal producers and consumers. China is the world’s biggest pork producer and consumer and its industry relies on soybean meal, a product of soybean crushing, to feed its pigs. Rising costs for hog farmers risks increasing the price of pork, a component of China’s consumer price index. Soybeans on the Chicago Board of Trade dropped as much as 5.3 percent, while wheat and corn futures also slid. Sorghum’s another commodity that’s been closely watched since China announced an investigation into imports from the U.S. in February, just two weeks after U.S. President Donald Trump’s slapped tariffs on imported solar panels and washing machines, his opening salvo in what’s since become a fully-fledged trade war. The Asian nation accounts for about 80 percent of American exports of the animal feed ingredient, in a trade worth about $957 million last year. The probe is to be completed by Feb. 4, 2019. China’s imports of U.S. corn, wheat and tobacco totaled about $740 million in 2017, according to official customs data. Full-year data on purchases of U.S. beef weren’t available because the China only resumed imports last year after lifting a ban put in place in 2003 in response to a case mad cow disease in Washington state.